It’s that time of year yet again—time for Amazon’s blockbuster sales event. We’ve combed the spreadsheets and chased every link to find the best deals in a variety of categories. 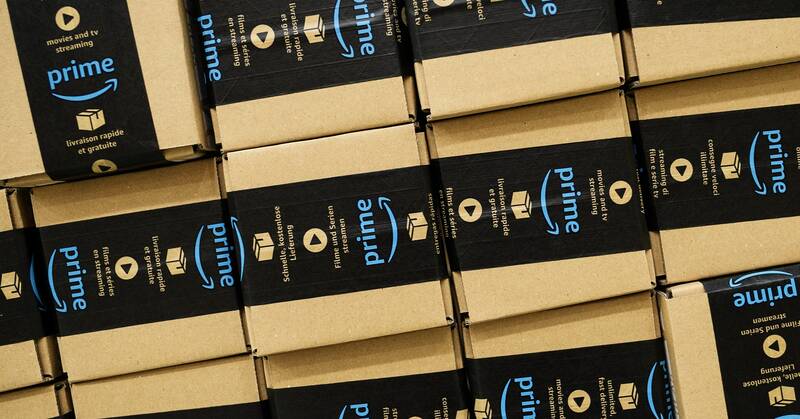 From home entertainment, to PC components, and even some awesome high-tech kitchen necessities, this is the list of the best Amazon Prime Day deals you’ll want to peruse first. Up top, we’ve hand-picked deals we really love—because they’re products we’ve written about or already have experience with, so you’ll be sure to not accidentally pick a dud of a deal. These wired Bose headphones are perennial best-sellers and today they’re almost a steal. Usually priced at $300, you can get them today for less than half their MSRP. If you or someone you know fly a lot, then you’ll want these headphones. They sound good, and the noise cancellation helps your ears feel just a little bit better after a trans-continental trip in coach class. You might not technically need a fancy rice cooker, but there are plenty of reasons to want one. We loved this Zojirushi model when we tried it last year, and now you’ll be able to add one to your kitchen for 30 percent less than usual. Available at 7 PM Pacific. Want to own the coolest Star Wars toy ever? You’ll be able to get a Sphero R2-D2 for way less than its $180 introductory price. It rolls around, lights up, and warbles in authentic astromech fashion. Artoo works with any Android or iOS phone with an feature-packed app. You’d have to be a moofmilker to turn down a deal like this one. Yeti’s soft cooler totes are usually pretty expensive, but your patience just paid off. Whether you’re restocking the party with cold ones, or just next on the list to bring Gatorade to the soccer game, you’ll be able to add a Yeti to your arsenal for well under $200. Vitamix makes some of our favorite blenders, and you can pick up a new one for a great price this Prime Day. Known for its ability to blend even the toughest fruits and veggies to a silky-smooth consistency, you can also make hot soup—the blender’s blades can heat the mixture without ever firing up the stove. At almost 50 percent off, if you’ve held off, it’s finally time to splurge on a Vitamix. We’re fans of Microsoft’s Xbox, and even if it’s the underdog this generation, it’s still a great way to get your game on at home. The sleek One S is perfect for anyone who wants to play HD games, stream Netflix, and even play 4K Blu-Ray movies. With backwards compatibility, you can also play Xbox 360 and even original Xbox games, too. The included Xbox Game Pass gives you 3 months of access to tons of titles. When we sampled a wide array of tablets earlier this year, the Samsung Galaxy Tab S3 was easily the best Android tablet of the bunch. With a vivid 9.7-inch OLED screen, included S-Pen, and powerful specs, it’s a good buy at its MSRP but a steal at $399. If you can’t justify taking the plunge and getting a Nintendo Switch, the New 3DS XL is an excellent alternative. With great battery life, expansive screens, and an incredible back catalogue of solid games, throw this in your carry-on and watch the hours of your flight melt away. It’s rare to get a nice discount on Nintendo hardware, so take advantage of this $50 savings while you can. We thought the Fitbit Alta HR was pretty good when we took it out for a spin last year, but with today you’ll save 40 percent, making it even sweeter. It’s compact, has the features we’ve come to expect from a Fitbit, and manages to last a week on a single charge. This compact Bluetooth speaker earned a spot on our list of the best—and now you can get it for a great price. Instead of spending almost a hundred bucks, it can be yours for $69 this Prime Day—nice! Since Prime Day is an Amazon event, you can expect some excellent deals on the company’s Fire, Kindle, and Echo devices. Here are our two favorite Amazon Device deals on right now. Browse our full Amazon Device Deal Roundup for even more great deals. Google Pixelbook (Core i5, 8 GB RAM, 128GB) for $749 (Was $999) – Don’t need desktop apps? Google’s top-shelf Chromebook is a winner at this price. MSI 15.6-inch Gaming Laptop (Core i7, 8 GB RAM, Nvidia 1050Ti) for $799 (Was $999) – Though it has a slightly older quad-core Intel i7, this is powerful enough to play most modern games. Looking for other deals? Shop Amazon’s rival retailers for an even wider variety of deals.